Franschhoek or “French Corner” is one of my favourite small towns in the Western Cape. 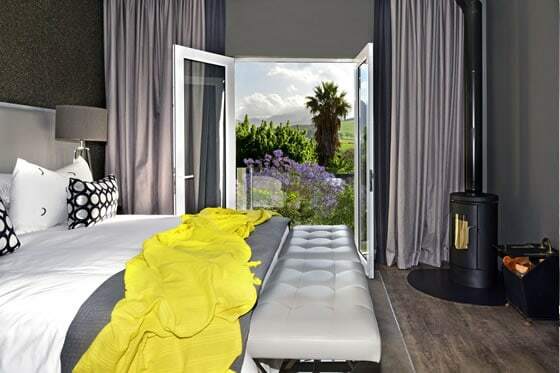 It is perfect for a night away, as it is only a short drive from the Cape Town CBD. The town is a popular destination for both tourists and locals; renowned not only for its natural beauty but also its fantastic food and wine. It is a great place to visit throughout the year, but I particularly love Franschhoek in Winter! 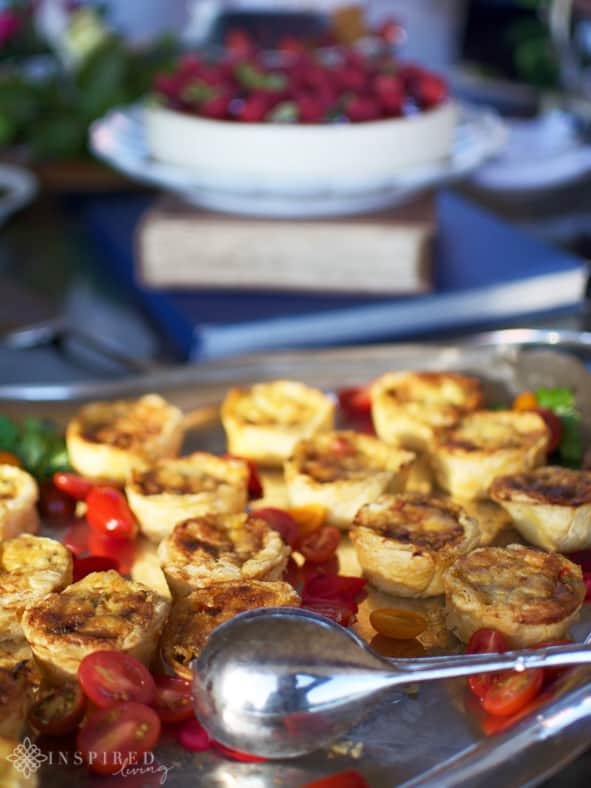 For me, Franschhoek in Winter is synonymous with fireplaces, red wine and delicious food! There are however so many fantastic wintry experiences to enjoy, as well as a host of accommodation specials on offer. After a recent media trip, I was inspired to put together a list of my Top Things to do in FranscHHoek in Winter. Whether you are there for one day or a longer stay, all that matters is that you visit Franschhoek this winter! 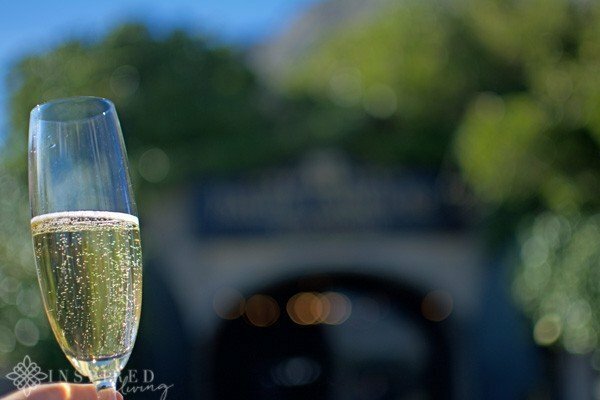 As well as offering some of the best cuisine in SA, Franschhoek is also world famous for its incredible wine. I do have my favourite wine farms and have visited many in the area. 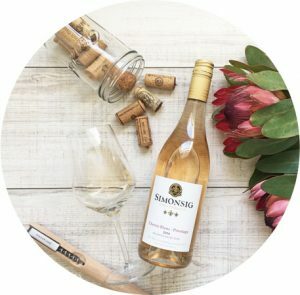 As a wine lover, in Franschhoek, you are spoilt for choice. High on my list of favourites, are wine farms such as Haute Cabriere, Vrede en Lust, Maison, Leopards Leap, Anthonij Rupert and not to forget the new Babylonstoren Tasting Room. In my opinion, the perfect wine tasting experience is, above all, about great wine but the atmosphere and setting are equally important. 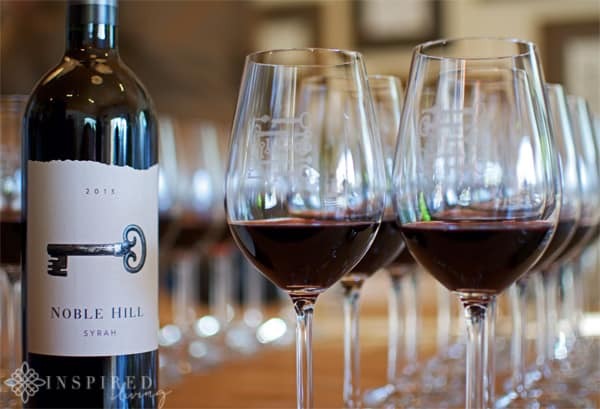 A new addition to my top wine tasting experiences in the area is Noble Hill Estate. The atmosphere is casual and inviting and the cosy fire they had blazing when I visited, added nicely to the ambience of the setting. 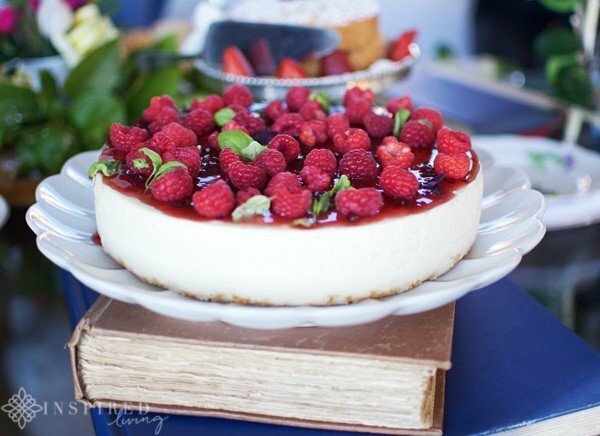 Eating out in Franschhoek is an absolute must! 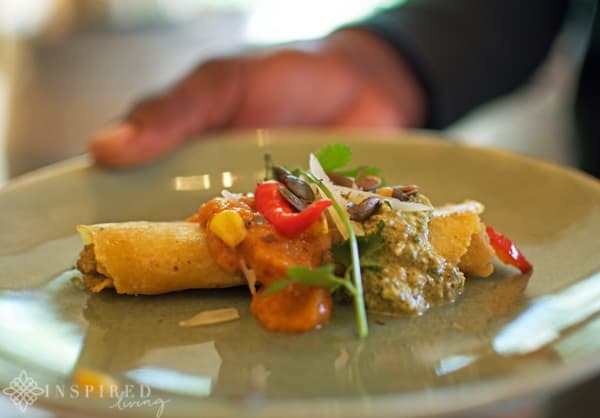 The area not only offers world class cuisine but in my opinion, is the gastronomic capital of South Africa! 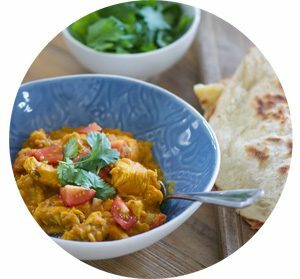 There is so much on offer in the valley as far as food goes. Most restaurants offer a special winter menu, and many run great seasonal offers. 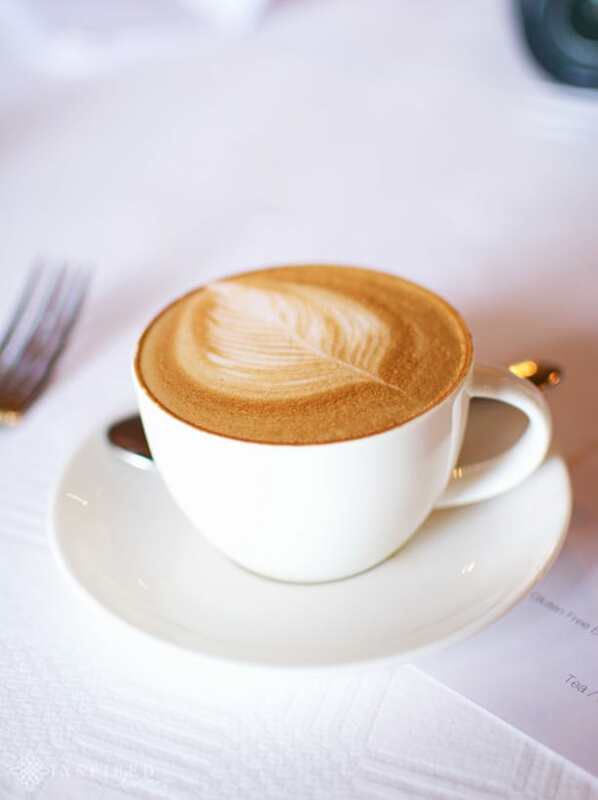 For a sumptuous breakfast and great coffee, I would recommend Café Bonbon, located on the La Petite Dauphine Guest Farm. If you are looking for somewhere to take the family then the likes of Essence Restaurant & Coffee Bar, Col’Cacchio Pizzeria or Allora are great options. For meat lovers, either the Village Grill & Butcher or Dutch East are a must. 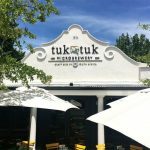 Dutch East Restaurant offers diners uncomplicated bistro fare, with a focus on meat preparation and traditional South African flavours. 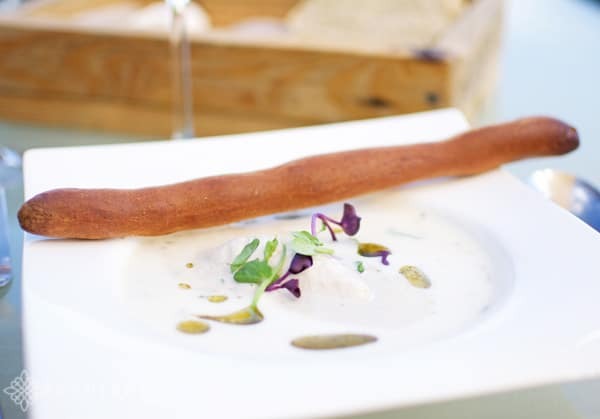 For more of a gastronomic dining experience, Ryan’s Kitchen, Haute Cabriere Cellar Restaurant and The Kitchen at Maison, are high on my list of must-try restaurants. 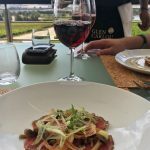 A recent culinary find in the area, is Cosecha Restaurant, at Noble Hill Estate. Cosecha offers a Latin-inspired dining experience, in a wonderfully relaxed setting. The dishes at Cosecha are delicious and made using the freshest local ingredients. 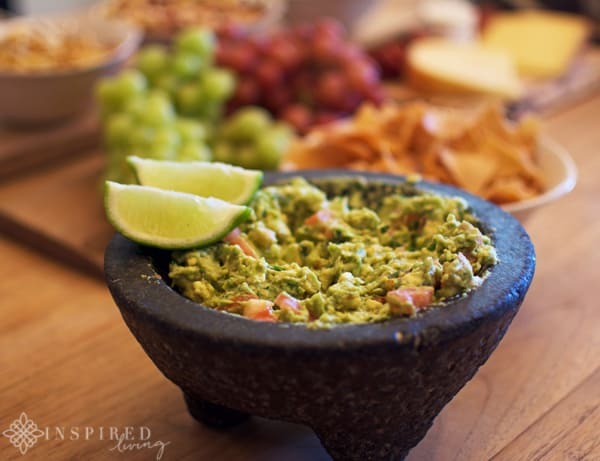 They also serve the most divine guacamole! 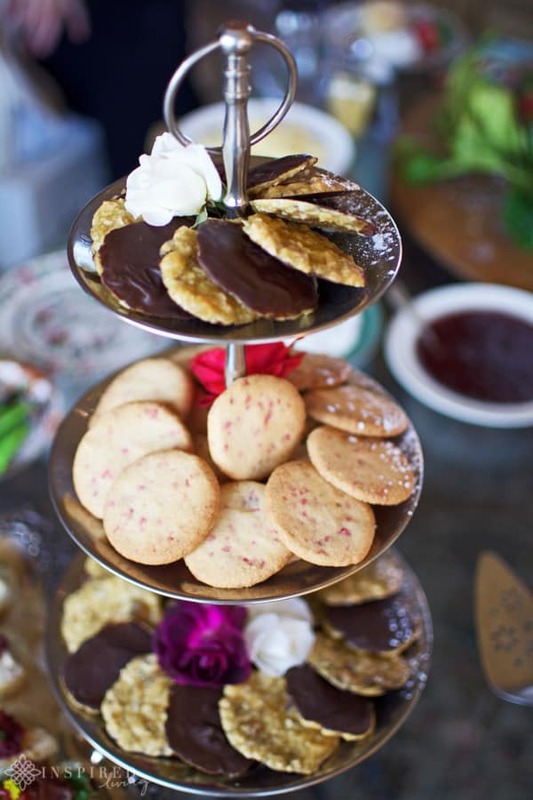 Although sweet treats are not usually my thing, I do love a delicious High Tea! 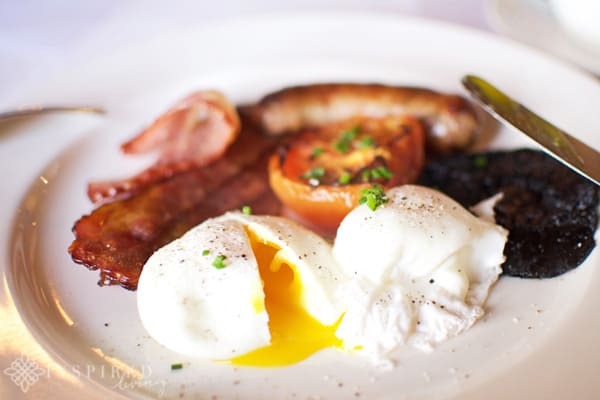 Most establishments worth their salt, offer a variety of savoury, as well as sweet treats. 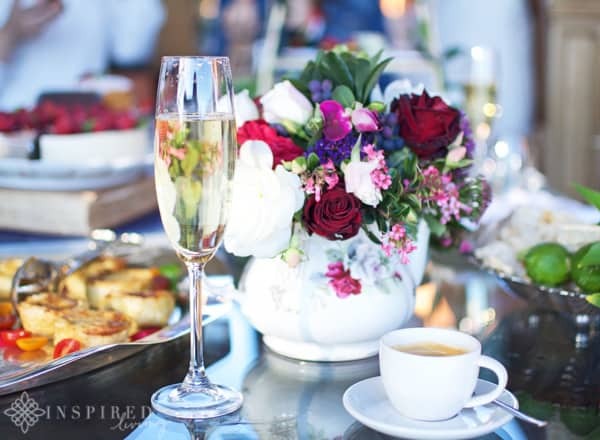 High Tea options which will indulge your every decadent wish, are the Winelands Tea at Pierneef á La Motte and the High Tea at Anthonij Rupert. For something a little extraordinary, the High Tea at La Residence is something you must experience! Price wise it is definitely on the more expensive side, but in my opinion, it is worth every cent, especially for a special occasion! The setting is particularly breathtaking, and the chef’s creations are something extraordinary. When we visited La Residence for high tea, we also had the chance to tour the Estate. The views are exquisite, and the accommodation is next level opulence. It is definitely on my wish-list of places to stay before I die! 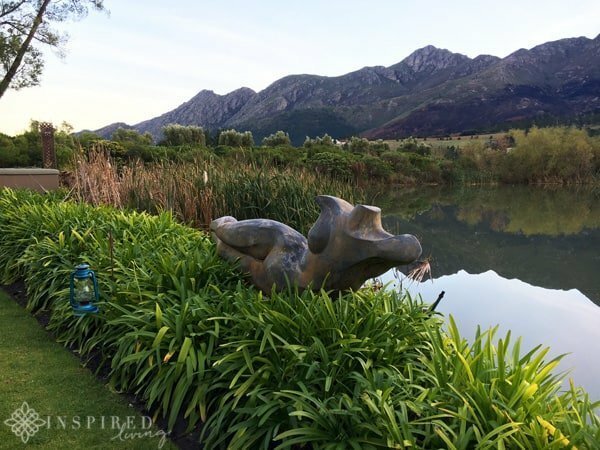 I love art, and we have managed to collect a few fabulous pieces from local artists over the years, as well a beautiful mirror, which we bought in Franschhoek a few years ago. When we visit Franschhoek, I love popping into the inspiring galleries in the area and soaking up the creativity. One of my favourites is Art in the Yard, a lovely bright and modern space. Art pieces, at Art in the Yard, are selected from upcoming local and international artists. Others to add to your list are Galleria Gibello and the Holden Manz Collection. Galleria Gibello, situated in Franschhoek’s original brandy distillery, is the new home to wildlife photographer Caroline Gibello’s iconic images of Africa. 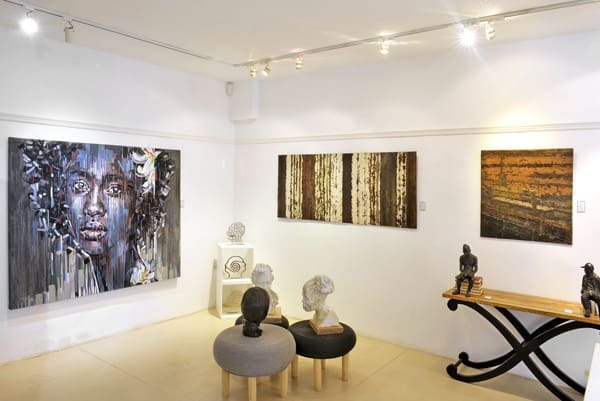 The Holden Manz Collection is located in the centre of Franschhoek and hosts a portfolio of contemporary African art. The gallery schedules regular shows and hosts a selection of work from renowned artists. For history buffs, a visit to the Huguenot Memorial Museum will give you insight into the history of the French Huguenots, who settled in the Cape, and specifically in the Franschhoek Valley. On display in the museum, are the various tools they used to make wine, clothes they wore and the cultural influences of their time. Motor enthusiasts can indulge in 100 years of motoring history, at the Franschhoek Motor Museum. The museum houses a unique and exciting collection of vehicles, motorcycles, bicycles and memorabilia in the magnificent setting of L’Ormarins. If you can, I highly recommend that you spend a few days in the Valley. We often spend a weekend and have stayed at many excellent guesthouses and boutique hotels, as well as doing the self-catering option. 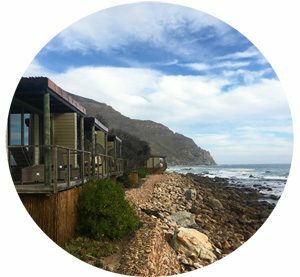 There is a great selection of accommodation to choose from, and many places offer great winter specials. Naturally, I have my favourites, and there are too many to mention in one post, but I thought I would highlight a few of my top choices. 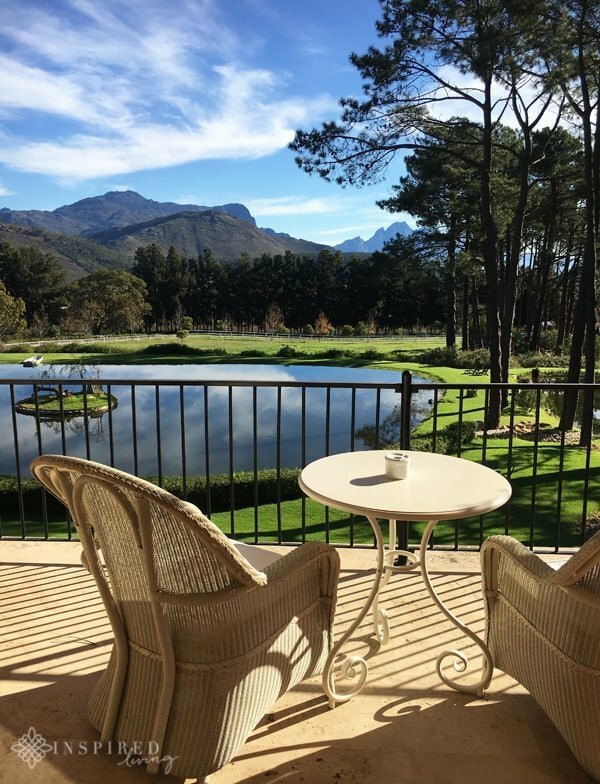 The Le Franschhoek Hotel and The Villas at Le Franschhoek are nestled at the foot of the Franschhoek Mountains. The property overlooks Franschhoek, thus providing the most beautiful views across the valley. 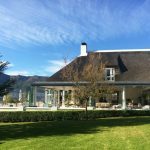 The Villas at Le Franschhoek are a great option for family accommodation, as they are self-catering. You have the choice of either a one or two bedroom unit. 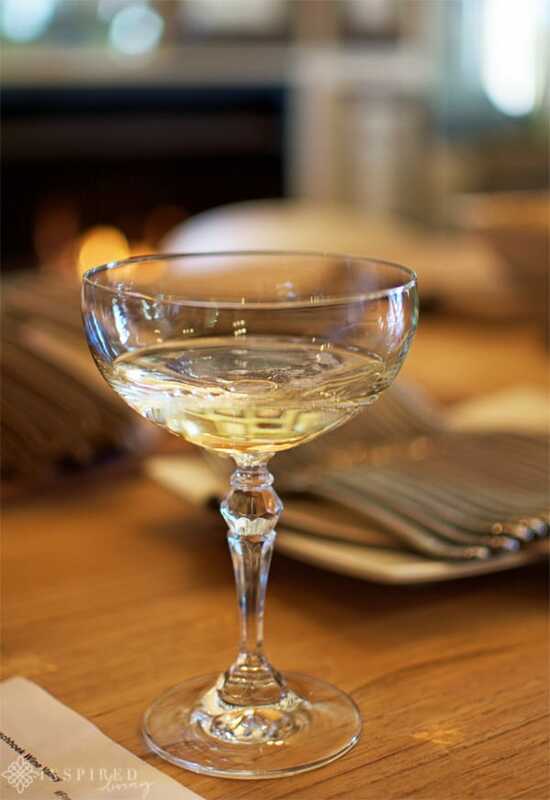 Over the years, others which have stood out for me, include Angala Boutique Hotel & Guest House, Lavender Farm Guest House, Burgundy Bourgogne and Le Petite Dauphine – all of which combine stunning luxury accommodation, with a beautiful setting. 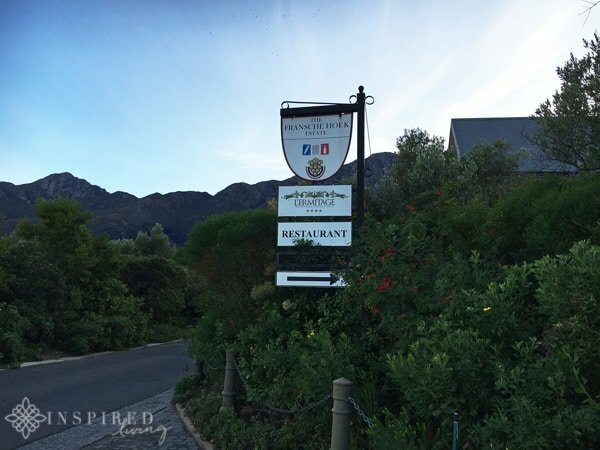 On my most recent trip, I had the pleasure of staying at L’Ermitage Franschhoek Chateau & Villas. The French-inspired, four-star hotel, feels like a Village rather than just a hotel. Cobbled streets, fountains and exquisitely maintained gardens, form an elegant backdrop, to one of the most picturesque settings in the Cape. The Chateau Suites and the 34 Villas are perfect for families, business professionals and couples alike. You also have the convenience of the self-catering facilities, if you do not feel like eating out all of the time. My Villa was wonderfully spacious, with a dining area and a balcony overlooking the water. 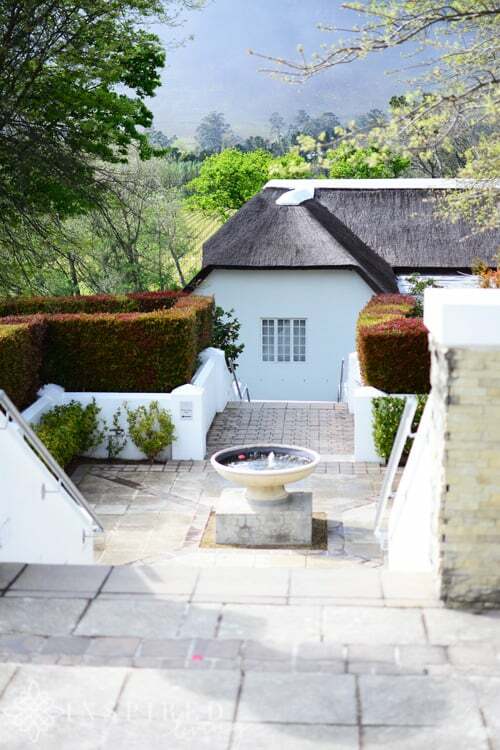 A new addition to the Valley is the Franschhoek Boutique Hotel. I heard nothing but rave reviews about the hotel. It offers a combination, of sophisticated luxury and modern convenience, located in the heart of the town. 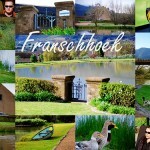 It is perfect for seeing all that Franschhoek has to offer. As I mentioned earlier both the views and the accommodation at La Residence are fantastic. I think the estate warrants its write up, so please keep a look out for that! If you are fortunate enough to be spending a day or two in the area then why not pamper yourself with a spa treatment. Most of the hotels in the area have their in-house spa, which is extremely convenient and many offer great winter accommodation packages, which include a spa treatment. 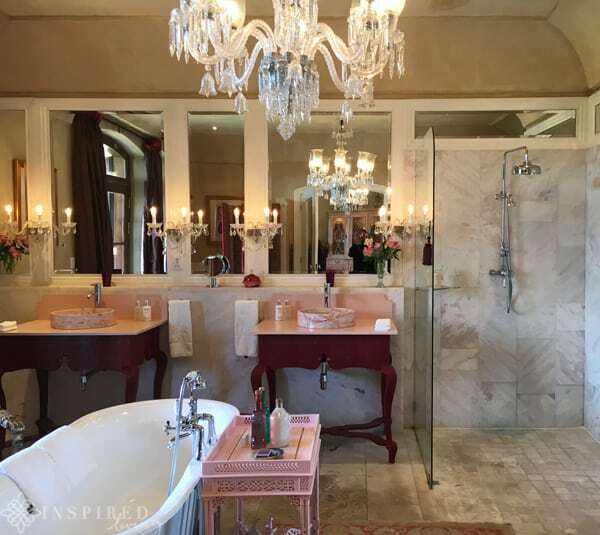 On my list of recommended spas in the Franschhoek area is Camelot Spa at Le Franschhoek, The Spa at La Residence, the Spa at Franschhoek Country Guest House and Villas, as well as the Spa at Holden Manz Country House. 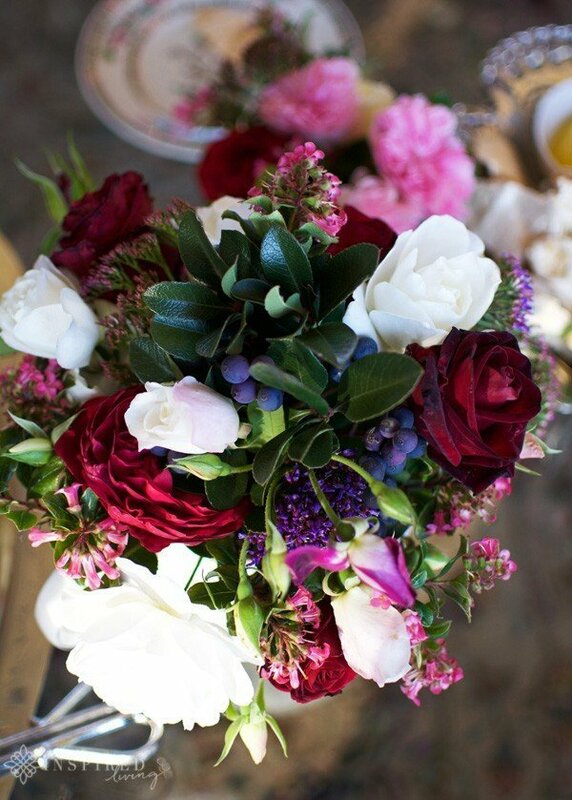 Tip: To avoid disappointment, remember to book your treatments well in advance, especially during peak season periods! 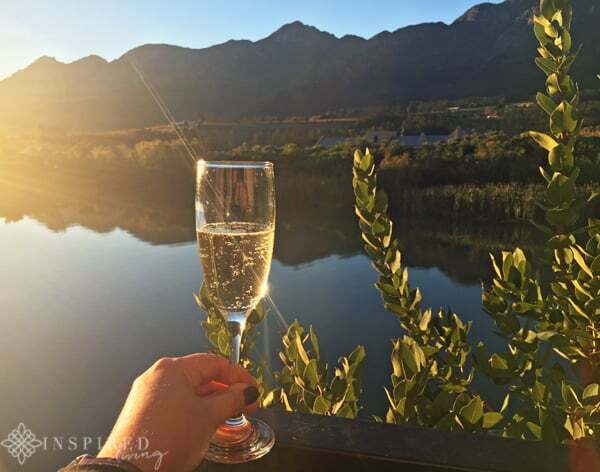 I hope you have enjoyed my recommendations of Top Things to do in Franschhoek in Winter. If you have, please consider sharing this post with others – just click the share buttons below. 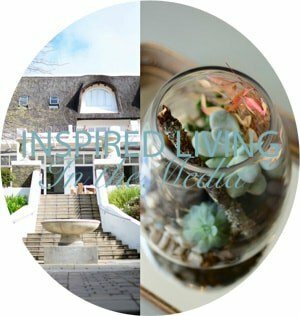 Image Source: All images are the property of ©Inspired Living and Fiona Rossiter, except for Dutch East Restaurant by Claire Gunn Photography, Art in the Yard, Franschhoek Boutique Hotel and Camelot Spa. This post gave me a great mental holiday , love your recommendations.